Now that the weather is so much warmer and we have two bank holiday weekends coming up this month, many motorhome owners are planning taking their motorhomes out of storage and planning their next trip. However, before you think about driving your motorhome you need to make sure that you perform some essential checks and give it a bit of well-deserved TLC – otherwise you could find yourself breaking down not long after you have left! 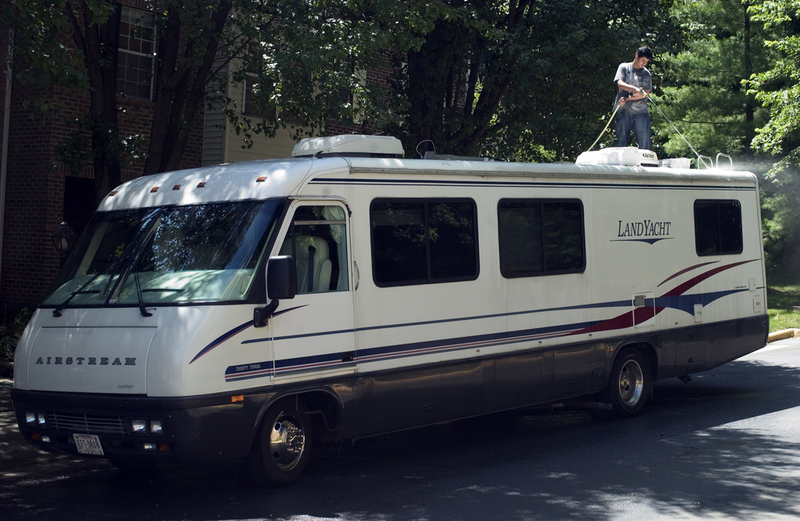 After spending months in storage your motorhome probably needs a good clean, so when you first take it out make sure you open up all the doors and windows and give it a good airing out. After this you will need to get hold of some cleaning products and make sure you give the whole interior a good scrub. Dirt and dust can often be quite difficult to get out of your upholstery; however there are a number of products you can buy that can help. Just make sure you buy the right one for the fabric otherwise you could end up ruining it! 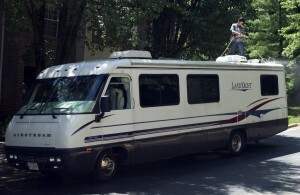 After the inside is clean make sure you give the outside of your motorhome a good wash, and don’t forget the tires and windows so that your motorhome will really sparkle! Having your motorhome clean is just half of preparing it for your next journey, after this you will have to make sure that it is fit for the road. The first thing you should check is the tyres as they will have probably deflated over the winter, and if the tread is low you could find that they are not road-worthy or legal. Next up, look under the bonnet and check that the oil, coolant and water levels are all correct, as if they are low you could badly damage your engine when you start driving. Don’t forget that if there is anything you are not sure about it’s always best to go to a mechanic as if you do something wrong it could end up costing a lot of money! One of the great things about owning a motorhome is that you can just jump in whenever you like and go on a journey, however this is often difficult if you don’t have some necessities stored in your motorhome. For example, keep your motorhome insurance policy, maps, and other helpful paperwork in your glove box, and always have small amounts of tin food stored away. If you want to be really prepared you could also keep some spare blankets and a change of clothes in your vehicle so you can go away whenever you want!